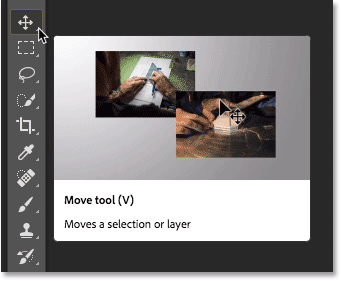 This tutorial introduces the new Rich Tool Tips feature in Photoshop CC 2018 which adds instructional video clips to the Tool Tips when you hover over a tool in the Toolbar. You'll also learn how to switch back to Photoshop's traditional Tool Tips. Photoshop CC 2018 is here, adding great new features to Photoshop like better integration with Adobe Lightroom, the Curvature Pen Tool, the redesigned Brushes panel, and more! But one new feature in CC 2018, Rich Tool Tips, maybe isn't quite as great as the others, at least in my opinion. In this quick tutorial, we'll look at the idea behind Rich Tool Tips and how they work. And then, if you agree with me that they're not as useful as Adobe was hoping for, you'll learn how to turn them off and restore the more traditional Tool Tips that Photoshop has been using for years. Rich Tool Tips are only available as of Photoshop CC 2018, so you'll need CC 2018 to use them. If you're a Creative Cloud subscriber and not sure how to update to CC 2018, see our How To Keep Photoshop CC Up To Date tutorial for everything you need. 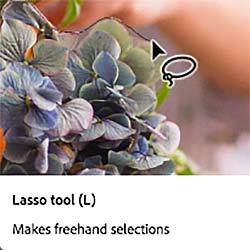 The way Tool Tips in Photoshop used to look. The new Rich Tool Tips in Photoshop CC 2018. In theory, Rich Tool Tips sound like a good idea. Who wouldn't want an animation showing how the tool works? Of course, the simple answer is, anyone who already knows how it works. And even if you haven't yet learned how to use the tool, you still won't know just by watching a 5 or 6 second animation. So while they sound great in theory, Rich Tool Tips don't offer much value in the real world. In fact, they can quickly become annoying, taking up too much space on the screen without any real purpose for being there. If you like this new feature, great! Rich Tool Tips in Photoshop CC 2018 are enabled by default so there's nothing you need to do to keep using them. But if, like me, you prefer the older-style, traditional Tool Tips, here's how to bring them back. Opening the Tools preferences in Photoshop CC 2018. 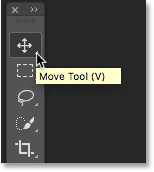 Toggle Rich Tool Tips on and off using the "Use Rich Tooltips" option in the Preferences. And there we have it! That's a quick look at the new Rich Tool Tips feature in Photoshop CC 2018 and how to switch back to Photoshop's traditional Tool Tips. Also check out the brand new Curvature Pen Tool in Photoshop CC 2018. Or visit our Photoshop Basics section for similar tutorials!